Canon EOS Rebel SL3 that will debut in international markets as the Canon EOS 250D has formally been unveiled. The new camera comes with Canon’s Digic 8 processor and features a 3-inch vari-angle LCD touchscreen monitor. There is also 4K video recording support. These offerings make the EOS Rebel SL3 similar to the mirrorless M50 that was launched in February last year. However, the EOS Rebel SL3, as a successor to the EOS Rebel SL2 aka EOS 200D, offers features such as 5fps burst shooting rate and Wi-Fi connectivity. Canon will start selling the EOS Rebel SL3 in the US by the end of the month with a retail price $599.99 (roughly Rs. 41,500) for the body only. Price and availability details of the global, EOS 250D are yet to be revealed, though. Similar to the EOS Rebel SL2 ₹ 75,712 aka EOS 200D ₹ 36,950, the Canon EOS 250D sports an APS-C sensor with a 24.1-megapixel resolution. The camera includes a range of settings to adjust the images as per the environment. Also, the presence of Digic 8 image processor is believed to help improve autofocus performance and enable 4K video recording. The DSLR camera also has the option to capture 4K time-lapse videos. In terms of the new autofocus (AF) system, the EOS 250D gives an array of nine AF points across the optical viewfinder. Canon has also provided a new Spot AF that is designed to focus on a precise area within the subject. Additionally, the EOS Rebel SL3 has Dual Pixel CMOS AF with Eye Detection AF in Live View shooting mode. Similar to the EOS M50, the Canon EOS 250D has a 3-inch vari-angle LCD monitor. This comes in addition to an optical viewfinder. Also, there are onboard features such as Smooth Skin setting and a Creative Assist interface. Canon claims that the EOS 250D can shoot at 5fps. There is also the sensitivity of up to ISO 25,600. The new budget DSLR also has connectivity options such as HDMI and USB ports as well as Wi-Fi support. Furthermore, it can remotely transfer media to compatible Android and iOS devices using the Camera Connect app. 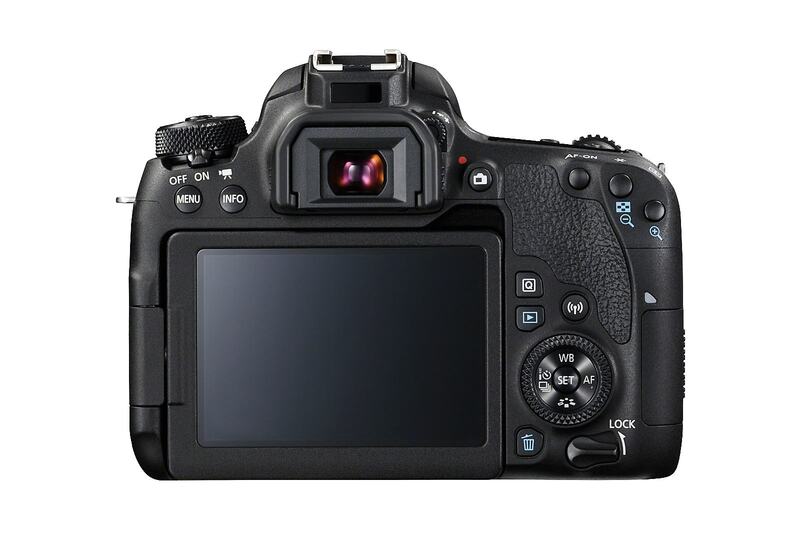 The EOS 250D weighs close to 449 grams. This is slightly lesser than the EOS Rebel SL2 that weighed close to 453 grams. Canon confirms that the EOS 250D DSLR is compatible with all its interchangeable EF and EF-S lenses. The camera with an EF-S 18-55 f/4-5.6 IS STM lens will go on sale in the US at $749.99 (roughly Rs. 51,900).